Two of EDM's most up and coming producers, Special Features and Michael Brun, have teamed up to create a representation of young creativity and energy in EDM today by releasing a preview of their highly anticipated collaboration, ‘Synergy’, which is out exclusively on Beatport on April 18th via Dirty South's Phazing Records. The title ‘Synergy’ signifies the unison of their signature sounds and high production ability and the result is a progressive song that is full of intensity, energy, and originality. Michael Brun: "I think 'Synergy' turned out to be a fitting name since the track combines the best aspects of Eden's sound and my own in order to create something completely new. I love the emotional breakdown and it all builds up to a heavy drop that I think will make it a great festival song. I'm really pumped to see what people think of it." 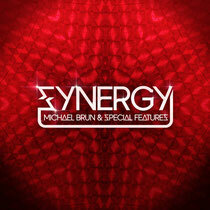 Both Michael Brun and Special Features have been making headlines for themselves as of lately. Recently, Michael Brun released ‘Rise’, which saw support from Sebastian Ingrosso, Dirty South, Alesso, Avicii and many more. Special Features has become a household name in the blog world with remixes of Deadmau5’s ‘Strobe’, Calvin Harris’ ‘Feel So Close’ and his contest winning remix of Dada Life’s ‘Happy Violence’. This is the first official original release for Special Features.